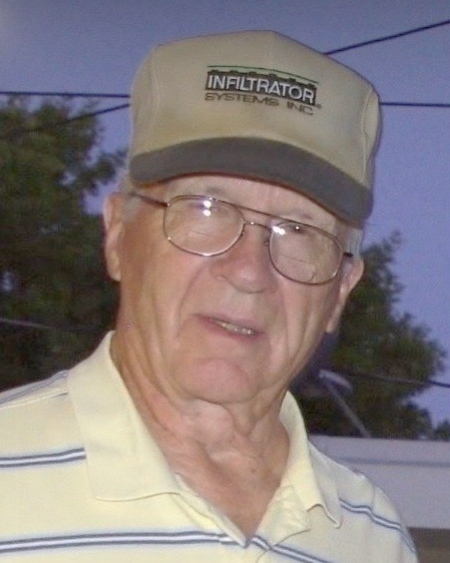 Stanley Neil Whitney, 87, of Caldwell, passed away at West Valley Medical Center in Caldwell, of natural causes early Sunday morning, January 19, 2019, surrounded by his family. He was born on January 5th, 1932 in Caldwell, Idaho to Walter Whitney and Georgia (Zimmerman) Whitney. He grew up in Caldwell and attended Marble Front School in early years, and graduated from Caldwell High School in 1950. He also attended the College of Idaho for a year. During his school years he was active in baseball and track. He taught himself to be a mechanic, and stayed with that trade until he retired, working for and eventually buying Midway Auto/Wrecking yard, and in later years he opened up Whitney Auto in his shop at home. He met the love of his life Beth Johnson, and they married in October 1953. They made their home in Caldwell for the entire 65 years of their marriage. Stan built and worked on race cars, and the two of them spent many hours at the track in Meridian. When they weren’t racing cars they were spending time with their horses in the mountains. In September of 1965, they adopted their only daughter, Teresa. She was attached to her daddy at the hip from the 1st day, whether he was working on cars, riding motorcycles, rock collecting, or camping. This was a life long bond. Teresa blessed them with 3 granddaughters, who eventually blessed them with 8 great grandchildren. In the words of his granddaughter Krystal, grandpa Stan was the kindest man alive. Her words are very true, as his family and friends will all tell you. He was the type of man that would give you the shirt off his back if it was his last worldly possession. Stan spent the last several years taking care of his love, Beth, through health problems, even when he was suffering himself, he did as much as he possibly could for her on his own. He was dedicated to her until his last day. Stan is survived by his wife Beth Johnson Whitney, His Daughter and Son in Law Rick & Teresa Stephens, 3 Granddaughters Alicia Stephens, Krystal Winslow and her husband Joe, Alyssa Crowder-Matlock & Joel, 8 great grandchildren Aiyana & Aniyah Garza (Alicia), Emry & Aeva Winslow (Krystal/Joe), Isabella, Malia & Walter Romero and Amari Bravo (Alyssa), Nieces Wendy (Mike) Weathers and family, Penny (Dave) Caldwell, Tracey Johnson and family, Ginna Maggard and family, Nephew Shane Whitney, and many more very special and loved nieces and nephews. He was preceded in death by his parents, and brother Gary Whitney. Funeral services will be held at 10:30 a.m. Monday, January 28, 2019 at Dakan Funeral Chapel. Per Stan’s request this will be a closed casket service, so there will be no prior viewing time.